If you are anything like me, as soon as you unlocked the very cool ninja-like Nightingale armour in Skyrim you probably wore nothing else for the rest of the game….that’s because it’s about as close as you will get to looking like a medieval Batman in the classic Bethesda RPG. Well if a virtual version of this awesome armour isn’t enough for you, then Bethesda has you covered with an extremely limited edition statue. 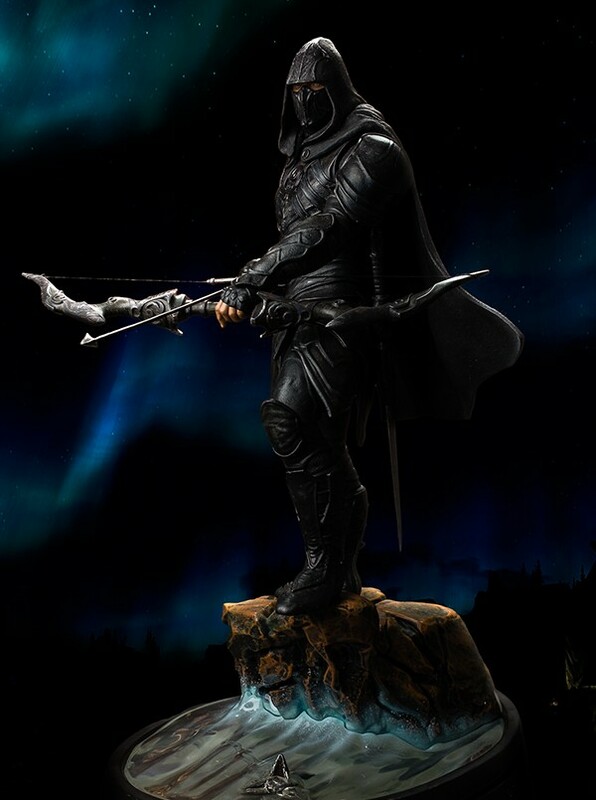 This Daedric, Lady Nocturnal favoured statue stands at 1/6 scale, approximately 16″ and will be available as a standard edition, limited to 1000 pieces and a special edition complete with light up base, limited to a mere 500 worldwide. Available in early 2015, Bethesda are taking pre-orders now via their online shop.